With these two forms of coverage to supplement their health insurance, your employees will have financial protection for vision and dental expenses throughout the year. As you are developing an employee benefits package for your team in 2019, it is crucial to consider the varying needs of your employees. With this in mind, offering a comprehensive benefits package is an important part of providing financial coverage to your team. In addition to health insurance, it is also best to include dental and vision insurance as well. With these two forms of coverage to supplement their health insurance, your employees will have financial protection for vision and dental expenses throughout the year. As you plan out your employee benefits packages for next year, consider the many advantages of offering dental and vision insurance to your employees. Glasses are a common sight among many adults in the workplace. With this, vision insurance is a crucial aspect of preventative eye care. For your employees who need glasses or contacts, vision care is essential for enabling them to perform the necessary tasks of their job. It is also critical for covering any necessary surgeries and procedures that may be needed to improve their vision. 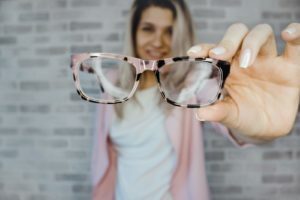 By offering vision insurance as part of your employee benefits package, you are not only showing that you care about your employees’ vision, but also their overall health as well. Similar to vision insurance, dental insurance is another critical form of coverage for your employees. Because oral health is so closely connected to other aspects of overall health, dental insurance is an essential part of keeping your team healthy throughout the year. Whether this coverage is used for regular cleanings or extensive dental procedures, dental insurance will serve to cover these expenses in some way. By providing your employees with a form of financial coverage against costs surrounding dental care, you are also providing them with a means to preventative care for their health. This entry was posted on Friday, November 23rd, 2018 at 10:40 am. Both comments and pings are currently closed.